Majestic Wine began its existence in 1980 as Majestic Vintners, opening its first wine warehouse in Wood Green, North London. Now it’s the biggest wine retailer in the UK. And, whether you’re stocking up for the future, organising an event or getting ready for a relaxed get-together with friends or family, Majestic Wine is your go-to supplier. These expert wine merchants are all about getting happiness and enjoyment out of every last drop. And, whatever you’re after, you can be sure they’ll deliver memorable, unusual and interesting bottles in large quantities, and at great value. With a vast selection to choose from, you’ll save on specialist and unusual wines that you just wouldn’t find in the supermarket, as well as the old favourites. How do I use my Majestic Wine promo code? Choose your deal and click 'View Deal' or 'Get Code' to get your discount voucher code, or find out more. If you get a promo code, copy it before heading to the Majestic Wines site. When you have chosen your wines and you reach the checkout, just paste your code into the relevant field before you enter your payment details. If you receive a voucher, print it out or save it on your phone, and present it at the till when you visit a store. Share your contact details with Majestic Wines to make sure you’re first to hear about every new arrival, the latest offers, exclusive parcels and competitions. Can I hire glasses for an event from Majestic Wine? You can hire wine glasses, flutes and hi-ball tumblers through Majestic Wine (and bear in mind, you’ll probably need more than you think!). All you’ll pay for is breakages, on top of a fully-refundable deposit of £1 for each glass. To request glasses, just select ‘I would like free glass loan’, when you order online and let Majestic Wine know how many you’d like. Your deposit will be added to your order amount before you pay. Does Majestic Wine sell gift vouchers? You can buy gift vouchers in £10, £20 and £50 denominations from Majestic Wine shops across the UK. Find your local shop using the store locator. Can I return unopened bottles to Majestic Wine? It can be tricky to predict exactly how many bottles you’ll get through. The team at Majestic Wine are happy to offer advice on how many bottles you might need, and they also offer a discretionary sale-or-return policy which you can arrange with the manager when you buy in your local shop. Does Majestic Wine sell wine for people with special dietary needs? Yes. Their range of organic and biodynamic wines typically contain a low level of sulphites. And you can choose from a range of vegan and vegetarian wines. While Majestic Wine doesn’t stock non-alcoholic wine, some of the shops carry non-alcoholic beer. Check with your local shop to find out what they have in stock. If you need help placing an order online or with an order you’ve already placed, get in touch with the Customer Happiness Team. You can call them on (UK) 0345 605 6767 or (international) +44 1923 298 226 - they’ll be around to answer your call Monday to Wednesday 9am-7pm, Thursday to Friday 9am-8pm, Saturday 9am-7pm and Saturday 10am-5pm. Or you can email them at info@majestic.co.uk. Majestic Wine offers free delivery on any order of six bottles of wine or more - with a guarantee that it will arrive within five days. Next day delivery is available if you order before 5pm, and it’s free on any order over £120. You can leave any special delivery requests (like where to leave your case if you’re not in), add free glass and cooler hire to your order, and you can choose Express Courier Delivery or Click and Collect options. Find out more from Majestic Wine. You can return unopened bottles back to your local under Majestic Wine’s sale or return policy. Just make sure that every bottle is in a resalable condition and that you have proof of purchase, such as your receipt. If you open a bottle and just don’t enjoy it, get in touch with your local Majestic Wine shop. They’ll be more than happy to replace the wine or refund the full amount to you. Opening times vary slightly from store to store. You can check your local opening times using the store finder. The people at Majestic Wine believe that wine (whether you sell it, share it, or buy it just for yourself) should be all about fun. 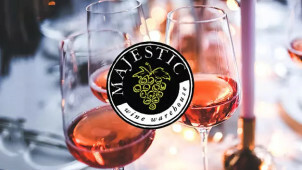 Use your Majestic Wine promo code to get a great deal while you explore their cases and experiment with new tastes. Not sure what to try next? Grab one of Majestic Wine’s award-winning mixed cases and let them do the hard work for you, so you can get on with the fun part. Majestic Wine offers an online wedding drinks planner. You can use it to find out exactly how much bubbly, wine, and beer you need (and want). You can also find advice, tasting sessions, and glass and cooler hire in your area too. Just a couple of clicks and you’ve got all the help you need to get your big day just right. It’s time to take the stress out of prepping for the party and get excited. Majestic Wine has a great selection of fizz. Ranging from refreshing sparkling wine to the biggest names in Champagne, there’s something for every budget. But what really caught our eye is the vintage champagne selection. A Majestic Wine voucher could be the perfect way to get something special and make your celebration that much more affordable. So now you can give the VIPs in your life the treat they deserve.